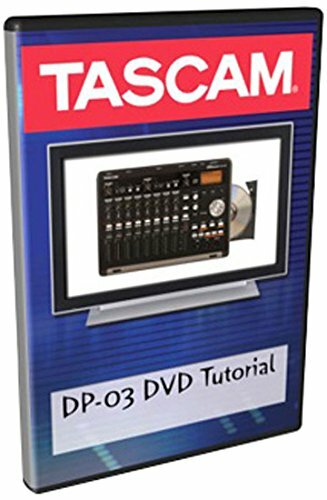 The Tascam DP-03 DVD Tutorial is designed to be more than just a complete guide to using the DP-03: it teaches basic recording techniques to musicians getting their first start in recording. While the DP-03 is a powerful easy to use portable Recording Studio, there are still many functions that may be difficult for beginners to learn. This DVD has been designed to walk you through an entire recording session. From setting up microphones to using reverb and EQ to shape your mix, Host David Wills (Michael Jackson/Phil Collins) teaches you all the tips to get the most out of your new DP-03. From basic recording to advanced subjects like importing drum loops, USB transfers and CD burning, this is the must have companion to your DP-03. Take your DP-03 skills to the next level and pick up the official Tascam DVD Tutorial today!